SeneGence has developed highly advanced anti-aging skin care and cosmetics systems that help make every skin type more beautiful and radiant. In the Vanuatu string of islands in the South Pacific, Joni worked with scientists and discovered naturally reoccurring resources proven to be beneficial to the skin. Today, SeneGence products can be found in numerous countries around the world, helping to make skin healthier and more beautiful. 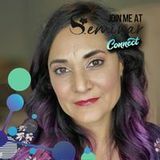 Joni ventures to international destinations regularly and enjoys sharing SeneGence with everyone she meets while guiding them to be their most confident self with products that really work. The distinctive ingredients are incorporated into SeneDermÂŽ SkinCare systems, SenseCosmeticsÂŽ beauty items, and the SeneDerm Solutions line, helping to result in dramatic improvements to the skin. They also help to provide crucial sun protection without the use of unnecessary chemicals. All SeneDerm, SeneDerm Solutions, and creamy SenseCosmetics contain SenePlex+ Complex, a kinetic enzyme that works to affect the way cells grow from the bottom layers of the skin to the top. SenePlex+ fights the signs of aging by supporting renewal of your skin cells an average of 23.3% more rapidly. SeneDerm SkinCare with SenePlex+ A 24-hour, anti-aging skin care system made for all skin types. SeneDerm Anti-Aging SkinCare systems are the most effective anti-aging treatments known in todayâ&#x20AC;&#x2122;s personal care and cosmetics industries consisting of products that help, rather than harm your skin. Formulated with powerful, anti-aging SenePlex+ Complex, these products help to dramatically improve skin over time. NORMAL TO DRY No oil in "T" zone, generally healthy appearance, clear with even texture, may have occasional tightness or flaking, small to medium size pores. DRY No oiliness, can feel tight and itchy, noticeable fine lines, may have red or rough patches, small pores, visible flaking. NORMAL TO OILY Oily "T" zone, generally healthy appearance with occasional breakouts or blemishes, pores are medium to large, skin appears shiny and can feel oily. This triple-action cleanser works to cleanse, tone, and hydrate while helping to maintain skinâ&#x20AC;&#x2122;s moisture. Each formula works to restore pH while effectively removing dirt, oil, and bacteria. AVOCADO OIL Very rich moisturizer. ALGAE EXTRACT Hydrates and softens skin. LAVENDER OIL Soothes and protects. HUMECTANTS Bind moisture to the skin. VITAMIN B Hydrates and promotes healthy skin. SODIUM HYALURONATE Protects against moisture loss. ALOE LEAF JUICE Calms and soothes skin. AVOCADO OIL Very rich moisturizer. VITAMIN E Essential antioxidant for maintaining healthy skin. MORINGA OIL Smoothes, de-puffs and moisturizes. ALMOND OIL Leaves skin silky but nongreasy. JOJOBA Promotes soothing and calming. VANUATU VOLCANIC ASH Exfoliates dead skin cells. ORCHID FLOWER EXTRACT Antioxidant and moisturizer. JOJOBA Promotes soothing and calming. SQUALENE Natural moisturizer. ALLANTOIN Promotes healthy skin. AMINO ACIDS To build healthy skin. BORAGO SEED OIL Helps even skin tone. VITAMIN E Essential antioxidant for maintaining healthy skin. Almond Oil: Leaves skin silky, nongreasy. Essenskin™ helps re-densify skin by over two months. Plant-based Marine Collagen: Restores and rebuilds collagen. Caffeine: Rejuvenates and revitalizes skin. Copper & Zinc: For antioxidant protection. This powerful treatment targets dark spots and discolouration caused by hyperpigmentation, acne, aging and sun damage to reveal brighter, firmer, and more even skin tone over time. 2 Forms of Stabilized Vitamin C: Help brighten and even skin tone. Vitamins A, B3 & E: Help to firm, even skin tone, protect from free radicals, and moisturize. Palmitoyl Tripeptide-1 & Tripeptide-7: Peptides that help increase skin elasticity and decrease wrinkle depth. Clinically proven ingredients that visibly reduce the depth and shadows of light and medium-size wrinkles, making skin’s texture smoother and younger-looking. Contains an advanced formulation, including natural ingredients proven to improve skin texture and restore proper moisture content with regular use. Anti-Wrinkle Complex: Firms and smoothes skin. Green Tea Leaf Extract: Protects skin with antioxidant properties. Jojoba Seed Oil: Helps to improve skin’s elasticity. titanium and iron for effective exfoliation without irritation. Achieve a glowing, smooth skin surface with this effective formula that contains larger grains of Vanuatu volcanic ash for a powerful buffer. A little goes a long way to rid skin of impurities and reveal soft, revitalized skin. Vanuatu Volcanic Ash: Exfoliates dead skin and polishes. Nangai Oil: Deeply hydrates and soothes skin with moisture-enhancing triglycerides Walnut Shell: Exfoliates and softens skin. Intensely moisturize and soothe dry skin with this luxurious blend of exotic Nangai Oil and highly effective anti-aging complexes and ingredients. Found on the tropical island nation of Vanuatu, Nangai Oil provides skin with calming and deeply hydrating benefits. Triglycerides: Essential fatty acids that help enhance your skin’s ability to retain precious moisture. L-22: Botanically-sourced lipid complex that helps improve the recovery of skin’s barrier. Meadowfoam Seed Oil: Soothes skin and slows down water loss. Excessive under eye darkening and visible bagging prematurely age the eyes. Correct it with this effective blend of ingredients, formulated to help reduce the appearance of darkening and to help reduce the appearance of loose skin under the eyes. Blend of Suma Root Extract, Potency Wood Extract & Madonna Lily Flower Extract: Works to help reduce under eye darkening. ∙	Fooops! Liquid or ∙ Ooops! SeneDerm SkinCare & SenseCosmetics The Perfect Match When used together, SeneDerm SkinCare and SenseCosmetics provide 24 hours of skin protection that can make every face look more beautiful, and keep it that way! Having a clear and radiant complexion is the first step to creating your own beautiful and balanced makeup look. Achieve this with the use of our simple skin care process, followed by application of our versatile anti-aging colour cosmetics. Adds a luminous and radiant glowing finish. Mix with your favourite MakeSense Foundation shade or lightly layer with a brush after makeup application. Enjoy luminous finish with the addition of sophisticated moisturizers, minerals, and vitamins. Enjoy sheer coverage, colour correction benefits, and skin protection in one easy step. Swipe on this smooth cream with sheer to medium coverage over moisturizer or under foundation, if more coverage is desired. It works to counteract redness and decrease sun and age spots. This powerful, creamy foundation is full of protective ingredients that help prevent damage to skin and SeneShieldTM for defense against environmental hazards. Blended with moisturizers, vitamins, and minerals, this water-resistant skin care must-have includes long-lasting colour pigments that adjust to a wide range of skin tones to keep you looking beautiful and staying that way. SeneSerum-C, both with SeneShield, into your beauty routine. Colour correction and advanced skin care combine into this effective concealer that can be used to even skin tone, blur imperfections, or highlight your best features. Your skin will immediately appear fresh and radiant, while being hydrated. This makeup must-have delivers the perfect touch of natural looking, long-lasting colour blended with beneficial and nourishing ingredients. A little goes a long way with this colour-concentrated formula that can be used to highlight, define, or contour. This light powder blots shine, and absorbs oil and perspiration with effortless application. The breathable finish protects without drying skin throughout the day. The Natural shade features colour-matching technology to suit a variety of complexions. Acetyl Hexapeptide 3: Plant derived amino acid and anti-wrinkle ingredient. Add the perfect touch of luster to your lids with longlasting luminous colour. Shimmer shades perfectly coordinate with the ShadowSense matte collection. This long-lasting, waterproof pencil glides on with a velvety smoothness and sets quickly for all-day wear without smudging, feathering, or bleeding. Highly pigmented for maximum impact, this pencil features a retractable tip for precise, easy-touse application. Perfect the shape of your brows with this unique, waterproof liquid brow colour. The two-step delivery system creates gorgeous, natural-looking, and youthful brows that last all day. Separate, lift, and curl lashes to volumized perfection! The humidity resistant formula helps moisturize to prevent dry, brittle lashes from root to tip. One coat fully extends your lashes, while a second coat adds 3-D intensity and dramatic volume for full, lush lashes. Unique volumizing brush delivers maximum results. Formula is ophthalmologist tested and safe for contact lens wearers. Beautifully lengthen, volumize, curl, and define lashes without running or flaking. Using the unique volumizing brush, one coat defines and extends, while a second coat creates intense fullness and length for waterproof, worry-free wear. Additional beneficial ingredients prevent brittleness and drying. Formula is ophthalmologist tested and safe for contact lens wearers. Capixyl: Helps provide fuller, healthier lashes. Vitamin E: Helps to repair and condition lashes, and prevent brittleness. Carnauba Wax: Helps keep lashes flexible. LipSense is the premier product of SeneGence and is unlike any conventional lipstick, stain, or colour. As the original, patented, long-lasting lip colour, it is waterproof, does not kiss-off, smearoff, or budge-off. Apply to clean, dry lips. For a defined look, line with LinerSense first. With lips parted, apply LipSense in one direction, beginning with outside corner of the mouth. Spread colour in a fluid, sweeping motion across lips to opposite corner (do not move applicator back and forth). Apply three layers for longlasting results, letting colour dry in between each layer. Finish with LipSense Gloss to maintain lasting colour and moist lips. *For proper use, purchase your LipSense in a collection which includes a colour, Gloss, and Ooops! Remover. Line your lips with precision as the long-lasting colour technology blends, complements, and defines as the first step to creating the perfect pout. Vitamin E: Helps to repair dry lips. Helps dry, damaged lips feel renewed, re-moisturized, and conditioned. Formulated with nonabrasive natural exfoliators, SenePlex+ and natural oils to accelerate the exfoliation process and reveal smooth, beautiful lips. Smooth on this long-lasting, nourishing balm with moisturerich botanicals to help bind hydration to lips. The addition of SenePlex Complex provides anti-aging and restorative benefits. This lightweight formula is fragrance-free with a matte finish: perfect for everyone. Bamboo & Ivory Seed Powder: Gentle, nonabrasive exfoliators. Nangai Oil: Deeply hydrates and soothes skin with moistureenhancing triglycerides. Shea Butter: Softens and protects skin. Coconut Oil: Provides nourishing moisture to improve dry, cracked skin. Ooops! Remover $12 A simple swipe of this nondrying remover will erase LipSense mistakes, “lift” your long-lasting lip colour so you can change your shade with your outfit, or remove LipSense at the end of the day. Vitamins A, B, C & E: Condition, moisturize, and protect lips. Remove long-lasting SenseCosmetics quickly and easily with this unique, easy-to-use formula that activates when shaken. It gently whisks away all makeup, including waterproof LashSense Mascara, while conditioning and refreshing the skin. Ideal for all skin types, it leaves the face and eyes feeling cool and relaxed without an oily residue. Safe for contact wearers. Green Tea Extract: Protects against collagen break-down. Arnica Flower: Helps to restore suppleness. Spirulina: Promotes clean, clear complexion. Get a gorgeous, natural-looking golden glow without compromising the health of your skin with this unique self-tanner that is long-lasting, water-resistant, and provides an even, streak-free application. It is blended with advanced moisturizers and SenePlex+ Complex for antiaging protection. DHA (Dihydroxyacetone): Derived from environmentally-friendly plant sources, provides a water-resistant, long-lasting tan. with SenePlex+â&#x201E;˘ Long-exposure to the sun's harmful UV is a leading contributor to unwanted signs of aging, and can also lead to serious skin health issues. Get a sun-free and a naturallooking glow, and anti-aging protection with SeneDerm SunCare products. Coconut Milk Blend: With coconut water and olive seed oil for nonsticky hydration. Erythrulose: Provides a natural-looking sunless tan. Goodbye dry and dull - hello healthy! Revive hair with nourishing botanicals, vitamins, and lightweight moisture in a non-stripping formula that works to give you thicker, bouncier hair. Safe for colour-treated hair, this formula helps repair damage caused by treatments. Formulated without sulfates, parabens, gluten, and phthalates for beautiful, healthy hair. Silky soft hair that shines! Restore hair’s texture and radiance with moisturizing botanicals and vitamins. Dry, brittle hair is transformed into luxuriously soft, shiny, and healthy locks. Formula is also beneficial for colourtreated hair and is free of sulfates, parabens, gluten, and phthalates. Capixyl: Helps provide fuller, thicker hair. Vitamin B3: Helps to improve health of hair follicles. COLLECTIONS Ask your Distributor about suggested sets for using our system of products easily and effectively. INCENTIVES “KISS OFF” Old Lip Colour HERE! Discover the clear difference of LipSense! First, “Kiss Off” your old lip colour! Second, apply long-lasting LipSense. Third, attempt to “Kiss Off” our no-smudge, no-budge lip colour by SeneGence! You will be impressed with how your face will look and feel with SenseCosmetics colour products that stay on until you take them off! Schedule your SeneBlends Makeover with your SeneGence Distributor. Earn a portion of your order total back in profits plus earn free products! 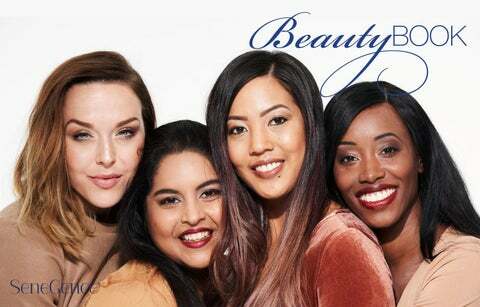 Ask your SeneGence Distributor about Partnering for Profits and sharing our revolutionary long-lasting and anti-aging skin care and cosmetic products with others. You will find it easy to take orders from those who are wowed by the results. In order for Kiss Off Cards to be considered valid, participants are required to follow the program guidelines. Open to residents of US, Canada, Australia, Mexico and New Zealand. Guests must be 18 or older to enter. Demos must have one Distributor, one Host, and three or more Guests; Limit one entry per Guest. Guests are required to “Kiss Off” their old lip colour, then attempt to“Kiss Off” SeneGence LipSense. Product Prizes will ship to winners’ address provided; physical shipping address is required, PO Boxes will not be accepted. Send valid cards to SeneGence International, ATTN: Kiss Off Contest, 4750 Tillicum Street, Burnaby, BC V5J 0J1. *SeneGence Product Prize to be selected by SeneGence staff from available inventory. New Distributor Kit (NDK) $55 Business materials to help you get off to a great start, plus 30 days of SeneSite and SeneBiz app! This example is not a guarantee or representation that you will experience these exact earnings. Rather, it is intended as a guidance tool to show you how a Distributorâ&#x20AC;&#x2122;s potential profit margin increases as their discount level increases. You are eligible to receive a 50% discount on all personal product orders of 300 PV or more, for 90 days, starting on the day you join SeneGence. PLUS, you can qualify to earn up to $1,350 in FREE products in your first 30, 60, and 90 days! Smart Start Pack also available for purchase outside of your first 30 days in business. It will have the same items as the Fast Start Pack without the added 30-day Fast Start Set. See your online order form to purchase. It all starts with a choice, Dream Big and then work hard to get there.